Still on the hunt for romantic things to do in Cape Town on Valentine’s Day? It’s not always as easy as it seems to know what to do on Valentine’s Day. Many romantic restaurants and organised events are booked up quickly, while others are either too far away or not quite what you have in mind. With Febworry budgets often stretched a bit thin, going all out is not always possible, either. 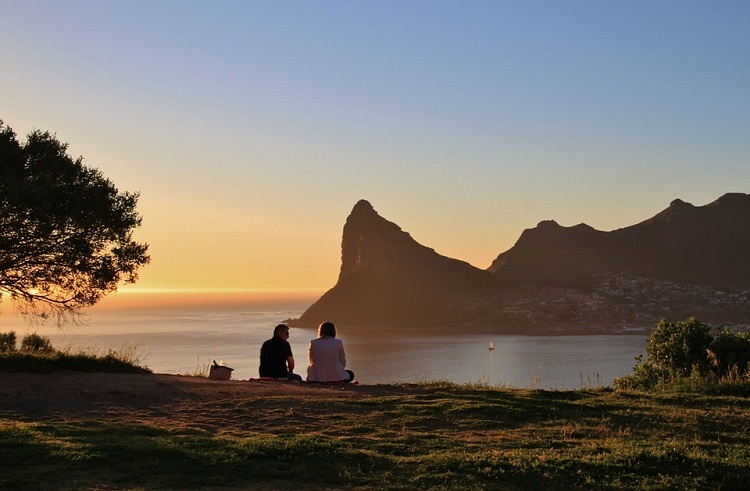 To help you get a bit of inspiration, we have put together a list of things to do in Cape Town on Valentine’s Day that require little to no booking, reasonable budgets, minimal stress and very little effort. Keep reading to get our top picks on what to do in Cape Town this Valentine’s Day. 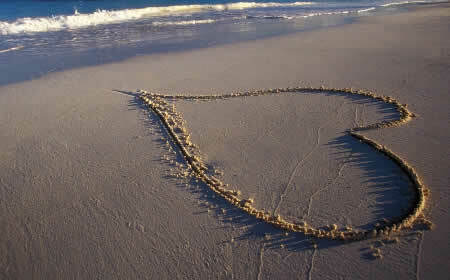 You don’t have to spend anything at all to enjoy all that the Cape has to offer this Valentine’s Day. 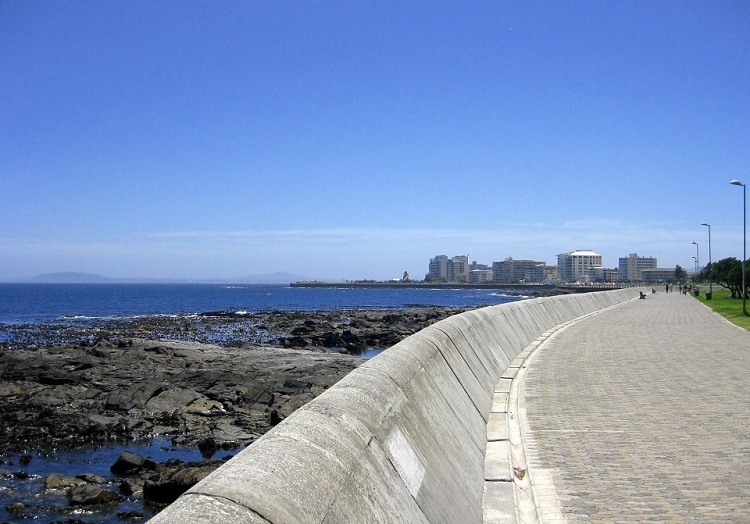 The Sea Point Promenade offers an amazing place to enjoy a stroll along the water’s edge. If you time your walk for late afternoon or early evening, you will be able to watch the sunset over the Atlantic Ocean. Walk up to the swimming pools, and you will find food trucks. Alternatively, there are also many great coffee shops, restaurants and bars along Beach Road for you to have a meal or a cocktail after your walk. From 09h00 until 16h30, today and every other day of the week, you can pick fresh roses at Chart Farm in Wynberg. 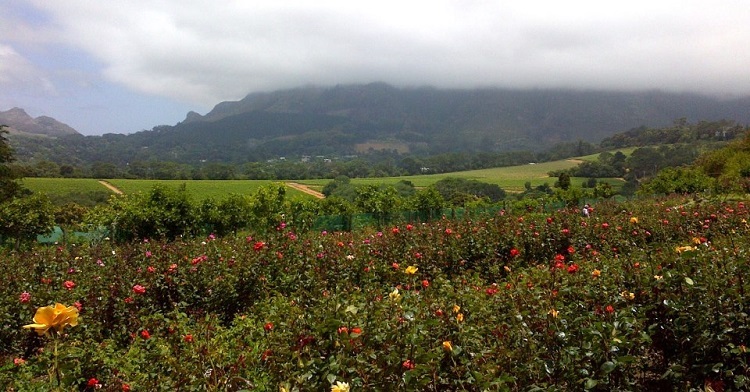 This gorgeous rose farm is close to Wynberg Park, offering a fun, affordable and romantic day out for couples. Roses can be picked at just R5.50 per stem, or purchased at R6.50 per stem. There is a lovely coffee shop also found at the farm. On arrival, you will be given a bucket and a pair of secateurs. Pick as many roses as you wish, then take them to be counted at the end of your visit. With a staggering variety on offer, most of them beautifully scented, you will want to pick as many as you can fit into your bucket. For details, visit the website at www.chartfarm.co.za/roses. 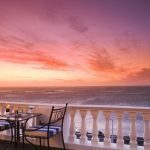 Another good choice for those not wanting to over-spend this Valentine’s Day, sundowners give you the chance to watch a dazzling sunset with your love. Grab a bottle of bubbly, a few beers or some soft drinks, choose your preferred sundowner spot, and settle in to watch the sky as it changes from blue to orange and red. You could also head out to a local restaurant, bar or cafe to watch the sun go down. 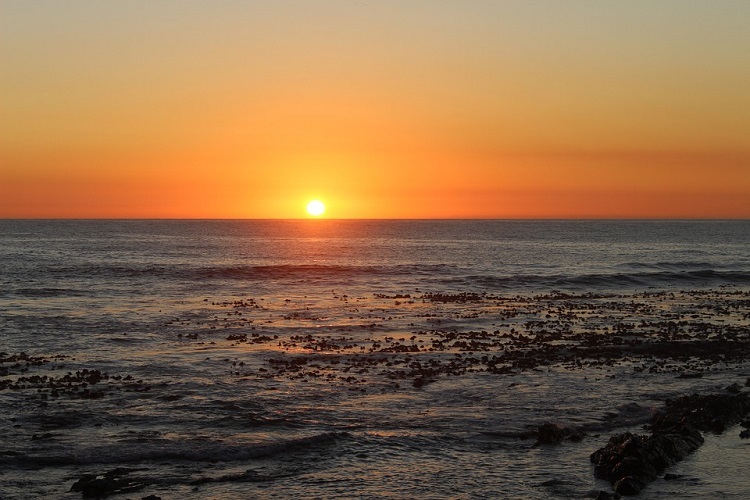 Have a look at our list of places to enjoy sundowners in Cape Town for some inspiration. Situated on Wale Street in the heart of the City Centre, Honest Chocolate Cafe is a must-visit for any couple who share a love for indulgent chocolatey treats. This cafe is where you can savour a range of artisan desserts and baked goods, most of them celebrating the art of hand-crafted chocolate. The cafe is open Monday to Thursday from 09h00 until 18h00, Friday to Saturday from 09h00 until 21h00, and Sunday from 09h00 until 18h00. Look out for their heavenly chocolate truffles, tarts and cakes, their divine dairy-free milkshakes, their ‘coconut dream’ drink, and the famous banana bread bunny chow. 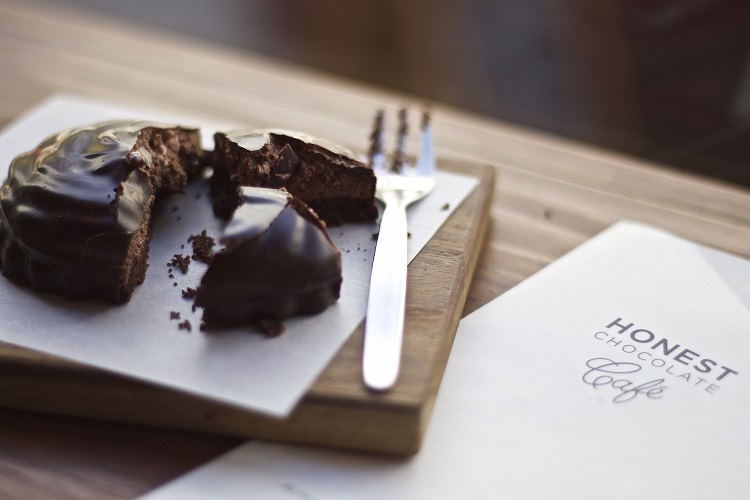 For more information, visit http://honestchocolate.co.za/honest-chocolate-cafe. The V&A Waterfront may not seem like an obvious choice for the most romantic day of the year, but this hotspot is home to a wide variety of things to see and do. There are many excellent restaurants to be found here, catering to just about every budget and taste. There are also cocktail bars and wine bars. 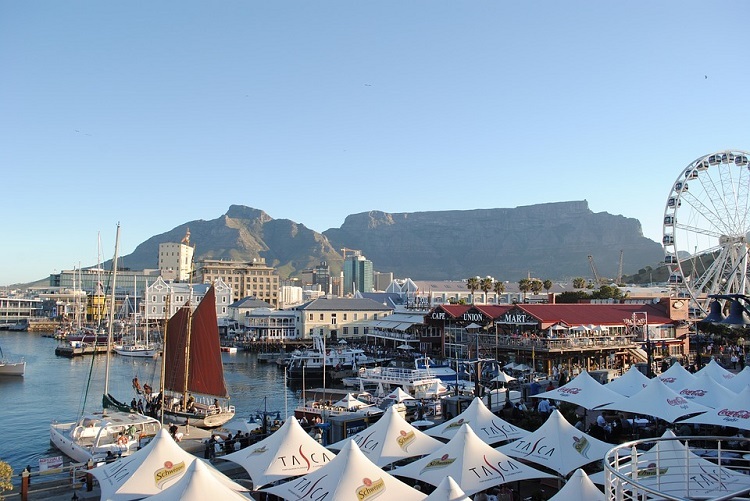 Additional highlights include diamond tours at Shimansky in the Clock Tower, the incredible Zeitz MOCAA, live marimba bands (and often live shows in the amphitheatre, boat cruises, seals, the Cape Wheel and iconic harbour scenes that are sure to set the mood. 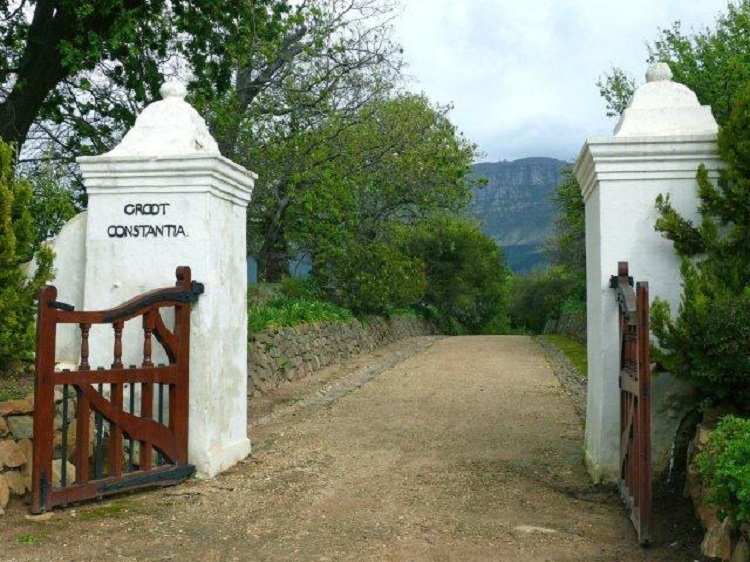 The Constantia Wine Route is one of the oldest wine routes in the Cape. 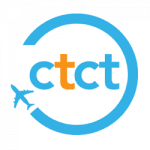 Despite its relatively small size compared to the larger Cape Winelands region, this route has become famous for its outstanding wines, fine dining and beautiful surrounds. Best of all, it is less than half an hour away from the CBD, making it highly accessible. Groot Constantia is without a doubt the most famous of all the estates in this region, housing a vineyard, winery, historic cellars, art galleries, restaurants, a courtyard complete with pond and ducks, a large rolling lawn, an ancient bath, plenty of trees, and much to see and do. The estate is open daily from 09h00 to 16h00, while the restaurants stay open until 21h00. Various tasting packages are offered, including wine and chocolate tastings. Bookings for tastings are not required. For more info, visit the website at www.grootconstantia.co.za. 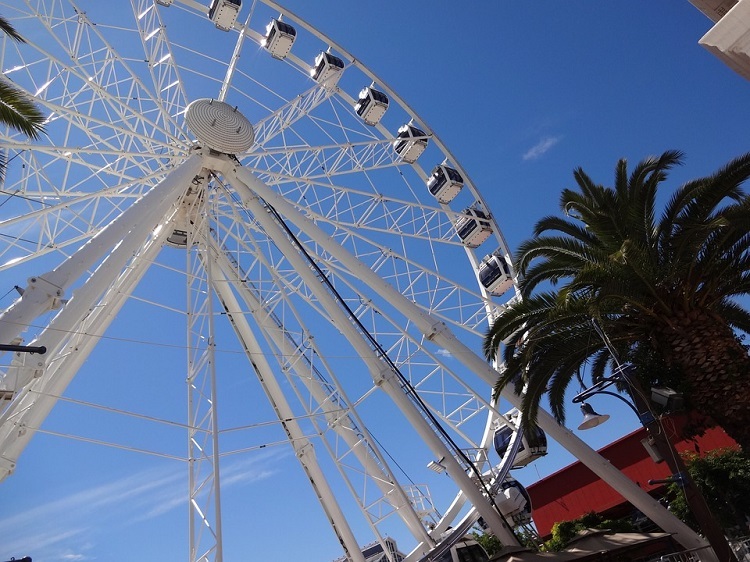 As we mentioned above, the Cape Wheel is located in the Waterfront. This iconic Ferris wheel offers regular trips at R130 per person (no booking required). They also have a Valentine’s Day special. The LOVE is in the air special gives you access to a private cabin for two at R260, along with an exclusive VIP package for up to 6 people at R1000, which gives you a cabin made up with table and tablecloth, candlelight, chocolates, flowers, and sparkling wine, as well as use of the VIP lounge. For details, visit the official website at http://capewheel.co.za/whats-on. Bookings are essential for the Valentine’s Day packages. 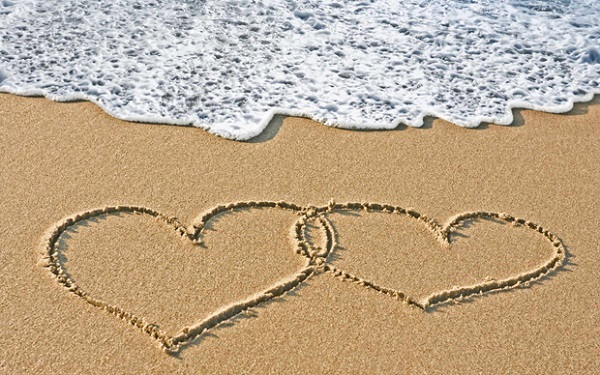 Finally, another Valentine’s Day idea that does not have to cost much at all, a beach picnic gives you the chance to woo your love with an intimate outdoor experience that takes full advantage of the city’s many amazing beaches. Clifton Beaches, Camps Bay, Llandudno, Hout Bay, Boulders, Blouberg… the list of beaches in Cape Town goes on an on. Once you have a beach in mind, prepare a picnic basket with all of your love’s favourite treats, add a blanket or two, a solar light or a few candles that you can place in sand-filled brown paper bags, some bubbly, a decadent dessert, and, of course, your camera. This list should take care of your last minute Valentine’s panic. 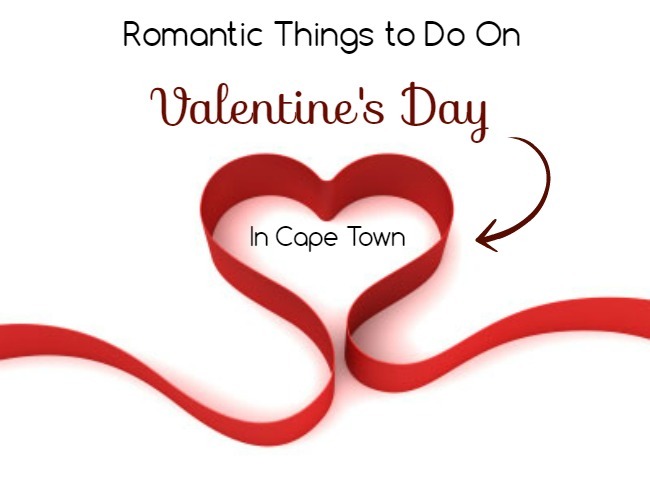 For more ideas on things to do in Cape Town on Valentine’s Day, be sure to follow our blog!